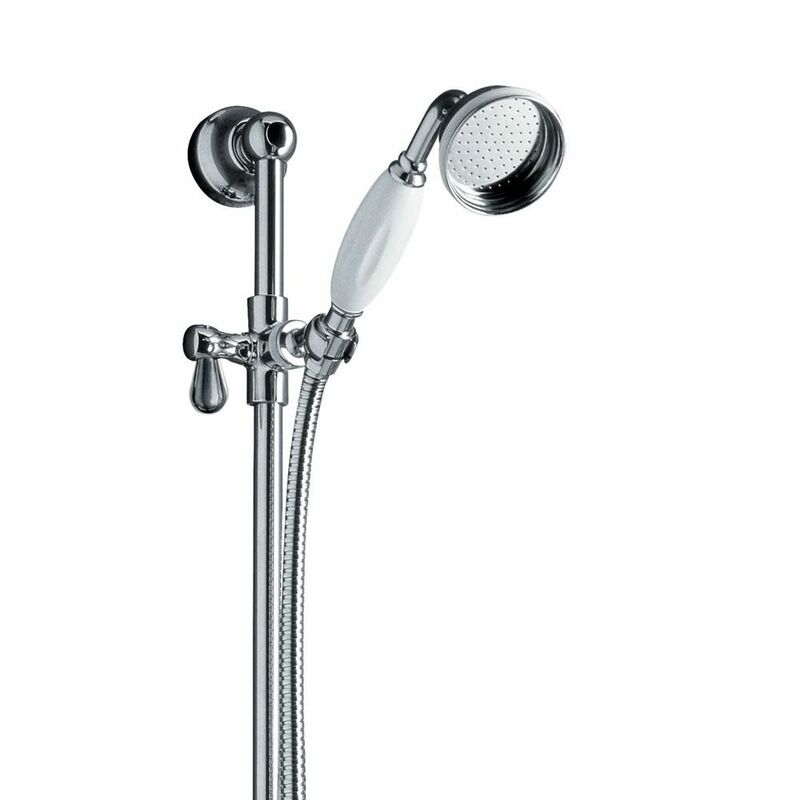 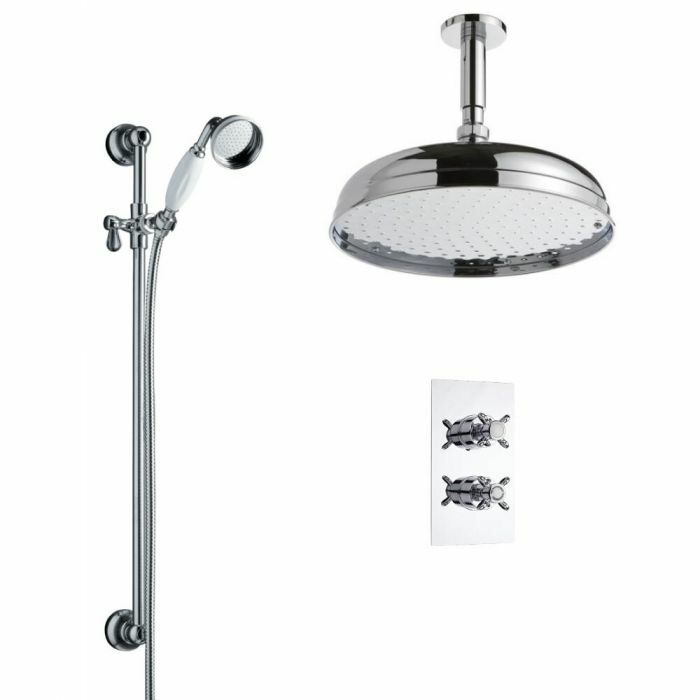 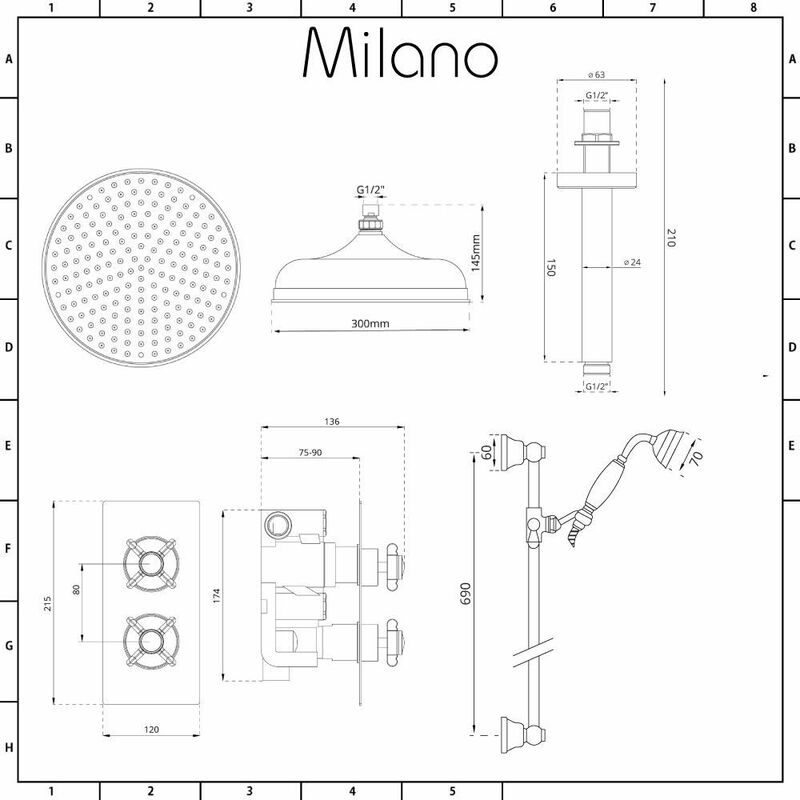 Add traditional style to your bathroom with the Milano twin thermostatic shower valve, 300mm shower head and slide rail kit. 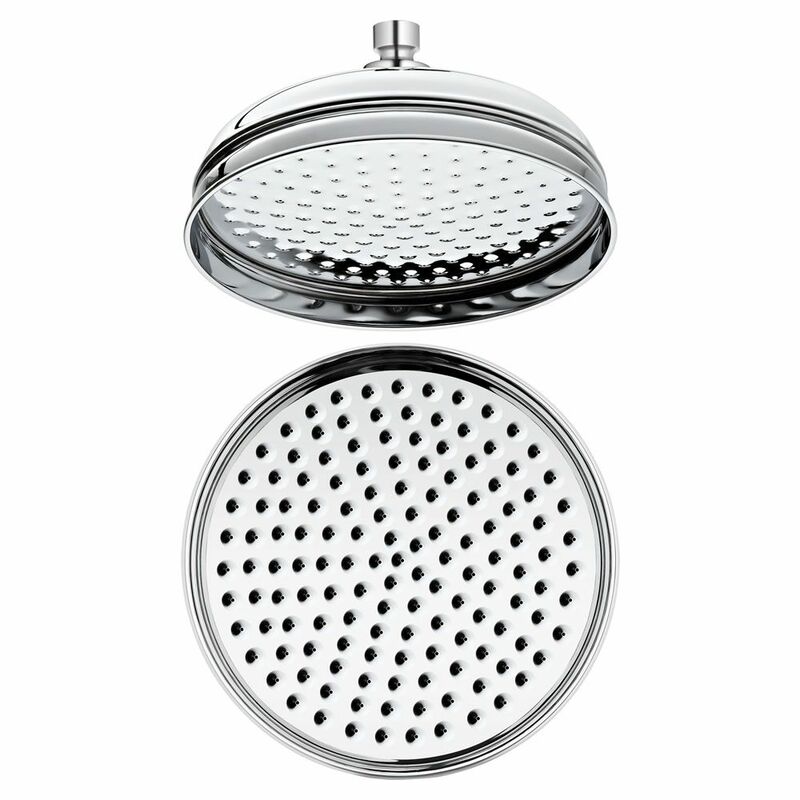 Made from brass with a brilliant chrome finish, the shower head delivers a refreshing rainfall effect. 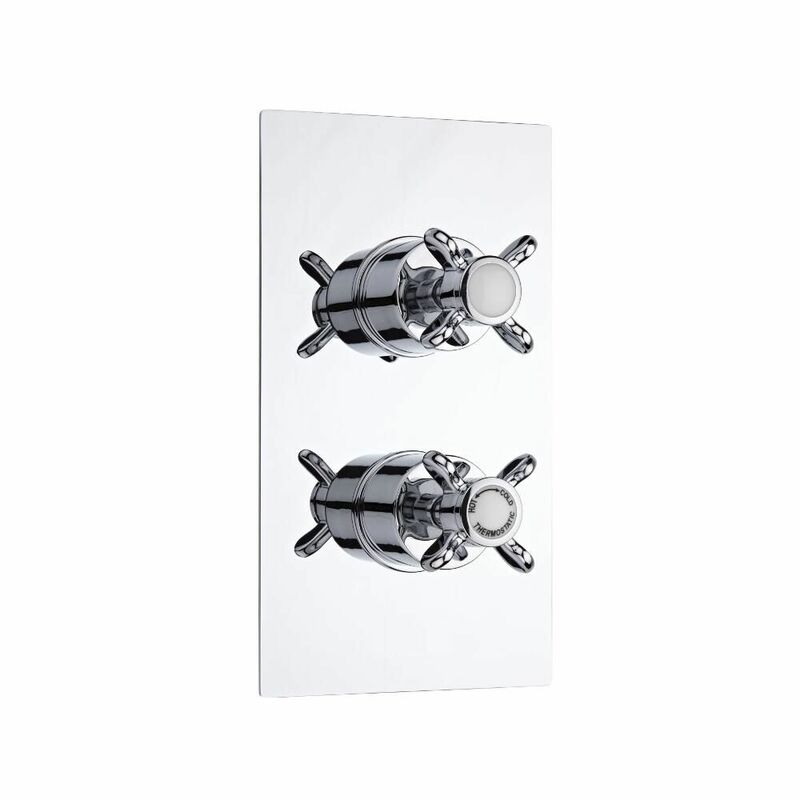 It includes the ceiling mounted arm.